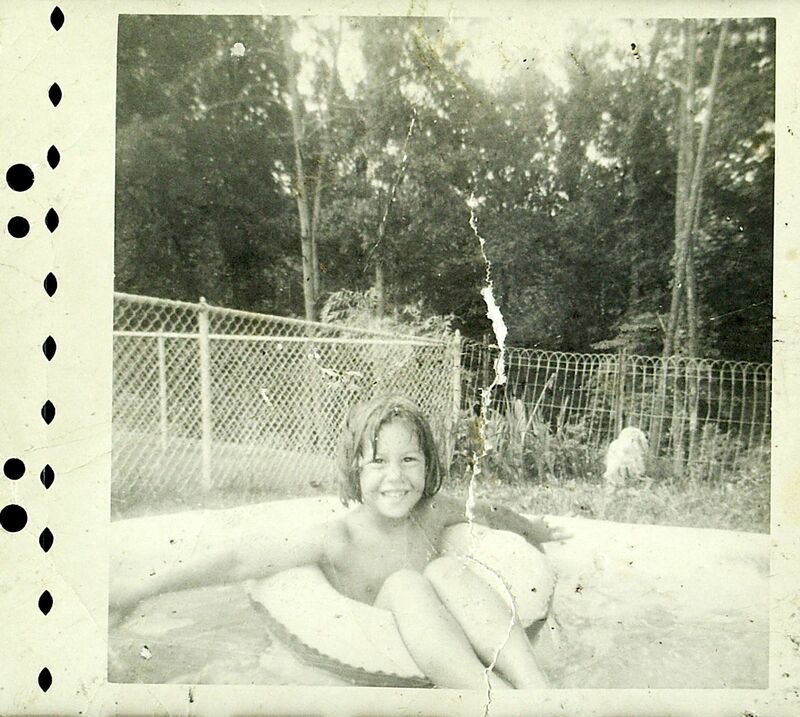 In the summer of 1955ish Candy was taking a dip in the in-ground shadow pond pool in the backyard in Langley Park Adelphi house. In the background of the picture you see ‘Nippy’ our dog at the fence. Our backyard went to the woods and park, the ‘Old Adelphi Mill’, was just at the bottom of the hill out back and across the creek.